He had me the moment I saw his bright eyes and pinch-able cheeks :). Meet Gregory everyone. 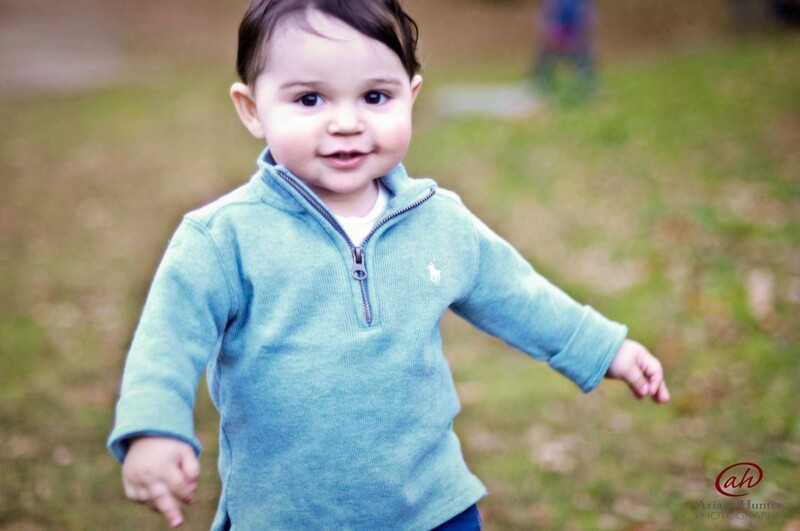 He likes to run, smile, and is incredibly ticklish on his upper thighs :). 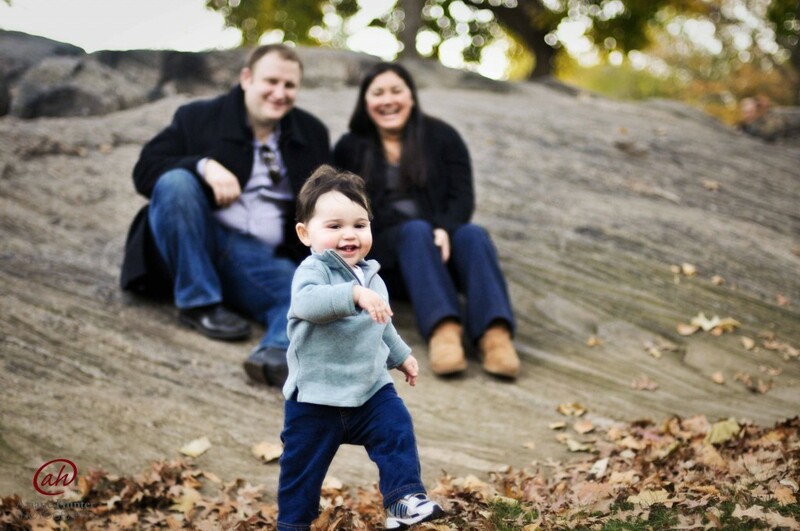 His parents and I went to Central Park for a photo session with Gregory. The fall foliage was perfect and the weather was nice enough for us to shed our coats and really have some fun and play in the leaves. 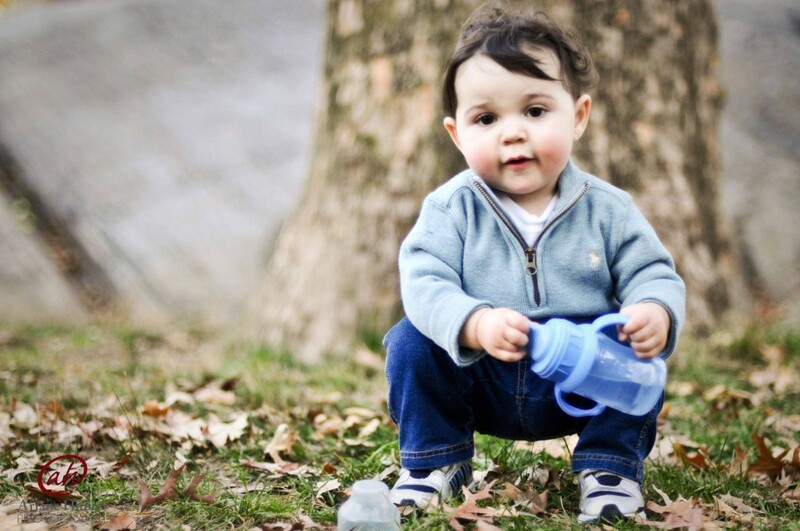 I spent most of this session running after him with my camera (quite the work out I tell ya!). But he stopped for about a milisecond, just long enough for me to get this shot of him :). So the idea was to have all three of them sitting on this rock for that picture perfect family photo. But Gregory had other plans :). Did I mention the boy loves to run?!! Gregory was tons of fun and his cuteness at times seriously had me saying "aaawwwwwee" every five minutes lol. Thanks to Jaime, Jason, and Gregory for a fun day at Central Park!